AidaForm has revealed the latest form builder which has taken the functionality of form builders to the next level. What is a form builder? Form builders are software that enables a person to create various types of forms that are required in business. The forms we are talking about are completely different from the forms we generally make in MS Word or Open Office. These forms are generally built with the help of coding. One common and the most used form builder is the Google Forms. To know more about the latest form builder from AidaForm, keep on reading. Have you ever submitted a query on any website or applied for any job vacancy through an online application form? Yes, we are talking about these particular types of forms known as online forms. Generally, the online forms require some sort of coding. Though these forms are easy to make the coding is known by the software engineers only. General people who do not have a degree in software engineering would not be able to create a form. Will their websites be devoid of any forms? Well, no more. AidaForm provides you the easiest way to create custom online forms in few steps without the hassle of coding. With a form builder like AidaForm, it is possible to create customized online forms which do not depend on the knowledge of coding or a degree in software engineering. What Type of Online Forms Can You Build With AidaForm Form Builder? ● Newsletter Signup– Used in the websites where visitor’s email addresses are claimed for sending newsletters or promotional emails. ● Sales Contact– Used to help customers reach the sales team for any query or complaint. ● Event Registration– Used for the bulk attendees in an event where keeping a track of the attendees becomes difficult and making sure each attendee has got the correct information about the event he/she is attending. ● Customer Feedback– These are survey forms that help a company to know how their clients and customers feel about their venture or product or services. ● Online Order & Payments– These forms are basically used in any online shopping websites through which the customers’ details such as address, location, payment type, and other credentials are attained. ● Account Signup– Used in the websites where membership for their customers or visitors is provided. 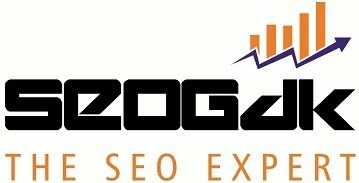 You will find account signup in most of the websites and in social media platforms. ● Website Visitor Feedback– These forms are also a type of survey forms where opinions of the visitors are taken to improvise the current website. ● Contest Registration– Used for the contests where participants can enter into the contest providing some basic information through these forms. ● Donation– Used to collect donations and feedback for supporting causes. It also makes it easier to keep a track of the donators. ● Free Marketing Assessments or Audits– Used to offer free assessments for any SaaS B2B companies. Some other commonly used websites use these forms like horoscope where they provide free horoscope reading after submitting a form or websites that assess your health or BMI. ● Contact Form– Used to contact an individual of a company or a blog indirectly by providing little basic information through the form. 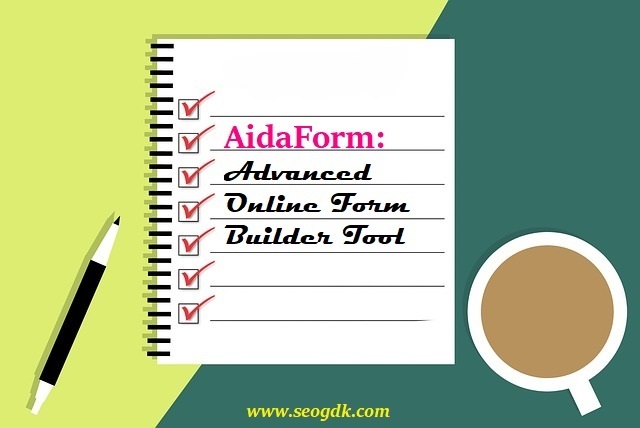 Almost all types of forms can be built with AidaForm form builder. Apart from letting you create and use the forms, AidaForm provides you some other benefits as well which will be discussed next. AidaForm not only lets you create an online form of your choice but also provides you some amazing features like drag and drop, customized themes and responsive templates, MailChimp integration, Google Sheets integration, Zapier support, Captcha, file upload facility. Form builders are pretty easy to use, convenient and legit, save a lot of time, does not need knowledge of coding and very customizable. You can use these forms built by the form builder in your websites and improve the website quality.